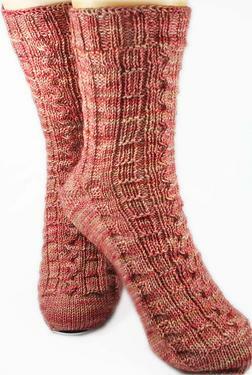 BoardGame Socks is a charted toe-up sock pattern knitted on two circular needles. 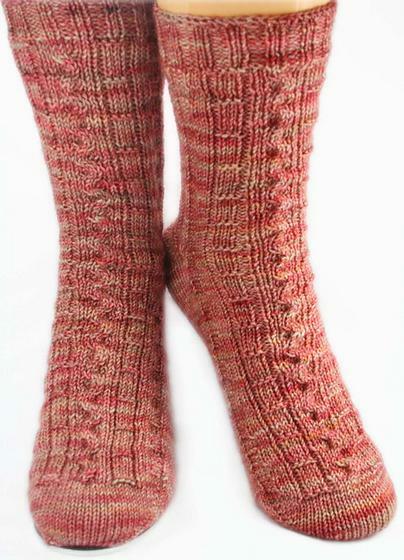 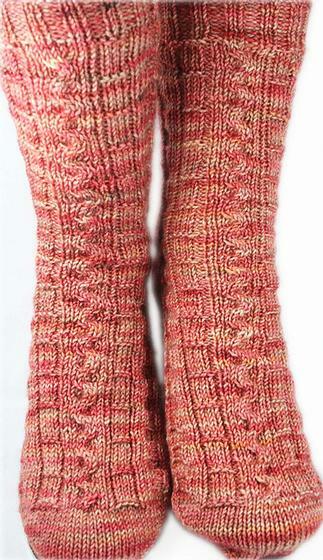 A simple pattern with 2 cables, these socks are great for beginning knitters who want to try easy left and right cables. 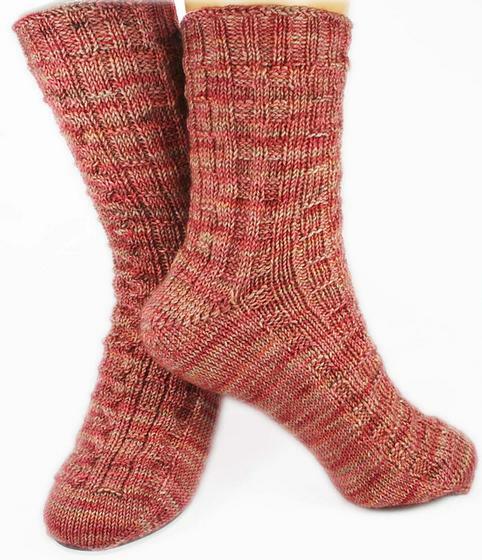 For those of us who have played the board game "Chutes and Ladders" from which this pattern takes its inspiration, I hope these socks bring forth happy childhood memories of 'sliding down chutes' and 'climbing up ladders'!